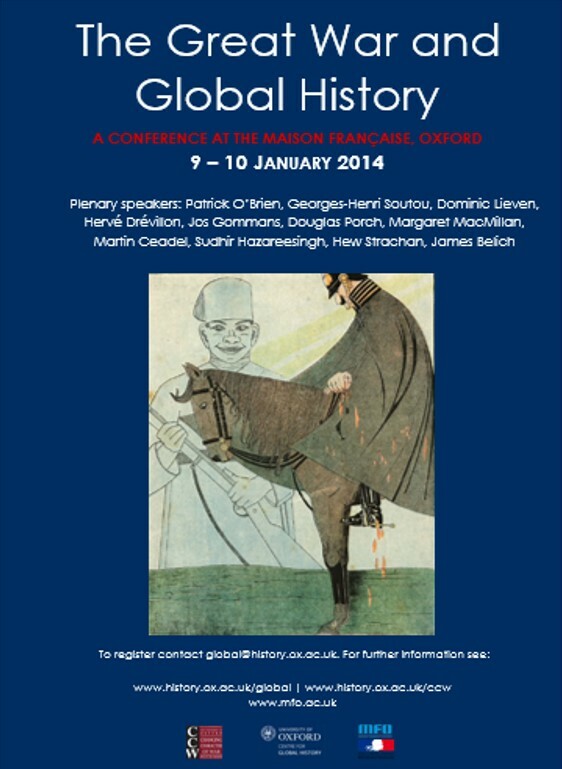 This major international conference was a collaboration between the Oxford Centre for Global History, the Changing Character of War programme and the Maison Française. Plenary speakers included Patrick O’Brien, Georges-Henri Soutou, Hans van de Ven, Hervé Drévillon, Tamara Scheer, Jos Gommans, Douglas Porch, Margaret MacMillan, Tonio Andrade, Martin Ceadel, Karen Hagemann, Stig Förster, Naoko Shimazu, Dominic Lieven, Hew Strachan and James Belich. For further details, download the conference programme and poster.